No doubt, OneNote is yet another useful component of Microsoft Office. Using OneNote, you can easily clip your immediate notes. For this to be worked out, you just need to press the shortcut Windows + S and the note can be clipped progressively on the screen. 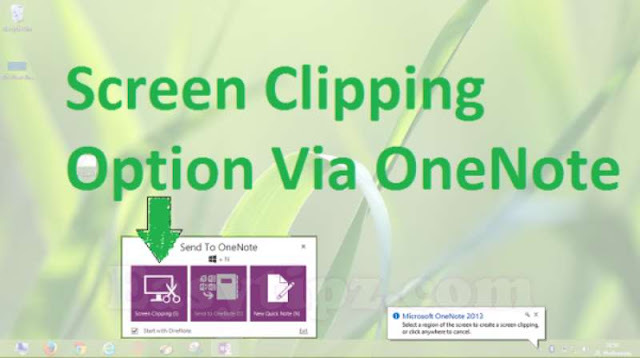 This Windows + S combination to clip was working perfectly in Windows 7 and Windows 8. But when you upgraded to Windows 8.1 or Windows 10, then the same shortcut (Windows + S keyword combination) brings up the search experience, so you will not get the Screen Clipping options. In other words, Screen Clipping hot keys are not working as you upgraded to Windows 8.1 or Windows 10, irrespective of the Office iteration I’m using. 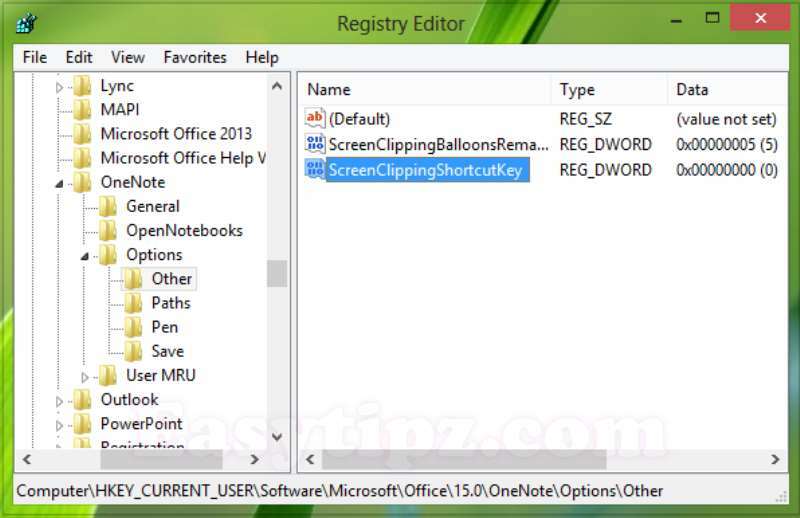 Understanding this situation, we can easily fix the error Screen Clipping Shortcut in OneNote not working in Windows 8.1 or Windows 10 by changing the default shortcut Windows + S in Windows. 1. Press Windows + R combination keys to open Run dialog. Type regedit and hit Enter to open the Registry Editor. Notes: We’ve assumed that you’re using Office 2013, hence 15.0 has been mentioned. If you’re using Office 2010, replace it with 14.0. If you’re using Office 2007, replace it with 12.0. 4. Put the Value data equals to 41, it will set the hot keys to Windows + A. If you want to set any other hot key than these, please refer to this MSDN post. Make sure you don’t use those hot keys Value data which are already assigned in Windows by shortcut. Click OK after inputting desired Value data. Close the Registry Editor and reboot to get results.